Back in March, when Google announced Android Wear, it revealed a list of hardware manufacturers that had pledged support for the new platform. The list included Samsung, LG, Motorola, HTC, and Asus. We already saw Android Wear smartwatches from Samsung, LG and Motorola, but nothing from HTC and Asus yet. However, both may launch their first Android Wear devices this year. According to Tech Crunch, sources familiar with the matter “confirmed” that Asus is planning to introduce an Android Wear smartwatch as soon as September. It’s said that Asus intends to sell the smartwatch for $99, or $149, thus positioning it as a significantly cheaper alternative to Samsung’s Gear Live and LG’s G Watch (which cost $199, and $229, respectively). Reportedly, the first Android Wear device from Asus will feature an AMOLED display. It may also come with gesture controls, though that hasn't been confirmed. As for HTC, the company repeatedly mentioned that it would release wearable devices this year, and one of them will almost certainly run Android Wear. The first HTC smartwatch might be called One Wear - but that is just a rumor at the moment. Back to Asus, are you looking forward to seeing what a $99 Android Wear smartwatch can offer? LG G Watch is in the Indian Google Play Store. With Sammy's Gear Live as coming soon! 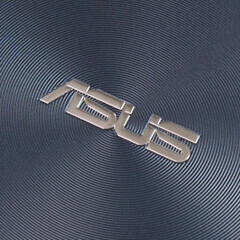 Asus has a good track record of creating hype. Remember the netbook anyone.